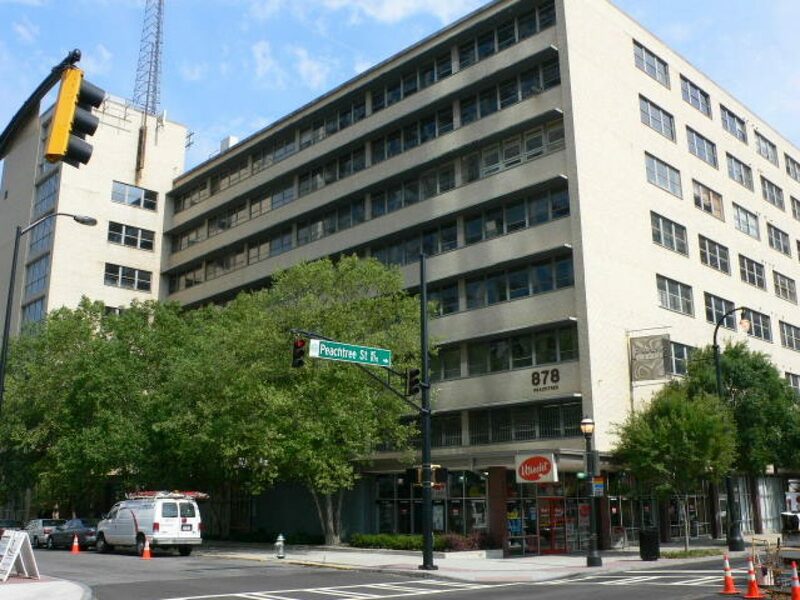 Peachtree Lofts are located on Peachtree between 7th and 8th Street. It started life as a post-WWII office building in the Bauhaus style. This style is all about clean rectangular lines and minimal obstructive supports. Peachtree Lofts units have just that, allowing homeowners to personalize their units to fit their own specific design styles. The building is an eclectic mix of spaces, and units can be remarkably different from one door to the next.